The statistics tell us 1 in 4 girls and 1 in 6 boys will be sexually assaulted before they turn 18 years old. I am one of those girls. Sexual assault and abuse is a serious epidemic, in this country, and all over the world. The most important thing you can do in April is speak out. 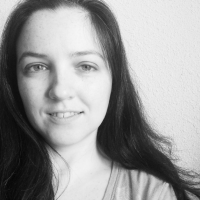 Share blog posts and articles where other people are telling their stories. Share prevention and awareness materials. Change your picture on facebook. Tweet. Talk to your kids and teens about sexual assault and abuse. In the 1980's, April was selected as the month for Sexual Assault Awareness Week. In 2001, teal became the official color for sexual assault awareness, and the first Sexual Assault Awareness Month was observed nationally. The 2013 campaign from the NSVRC is focused healthy sexuality and its connection to childhood sexual abuse prevention. They have resources for parents, educators, and advocates that can be found on their site. #TweetAboutIt Twitter Chats will be happening each Tuesday afternoon in April at 2pm EST. 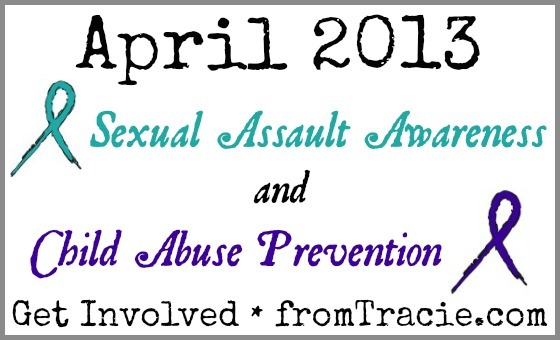 You can also use the #SAAM hashtag throughout the month. Check out the National Sexual Violence Resource Center Calendar list of events. Support RAINN, and the sexual assault hotline. Wear denim on April 24th for Denim Day. In 1983, April was the proclaimed the first official Child Abuse Prevention Month and the Blue Ribbon Campaign began in 1989. Get your Stewards of Children training. Join the Pinwheels for Prevention movement with a blue pinwheel. 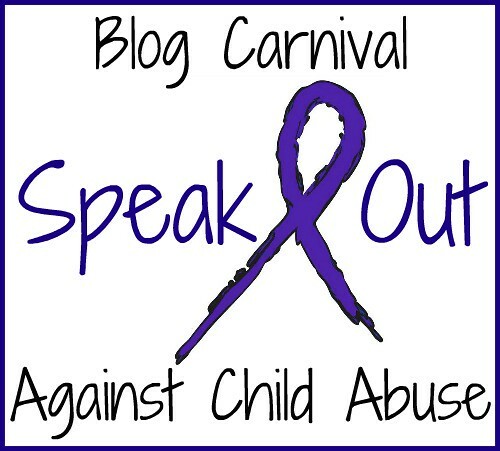 Submit a blog post to the Blog Against Child Abuse. Support Child Help and the child abuse hotline. Million March Against Child Abuse - the facebook page has a list of participating cities. It is important to remember that not all child abuse is sexual, and not all child abuse is violent. Please leave links or info in the comments about anything you are participating in for sexual assault awareness or child abuse prevention this month. I will be updating this post throughout the month. You're so brave. Love you! Thank you, Adrienne. Love you, too! 1 in 4 girls and 1 in 6 boys. My God. The numbers really are staggering. 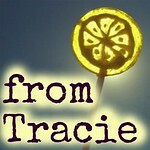 God bless you as you continue to triumph and hold victory on your life and purpose Tracie!!!! Shared. Thank you, Chris. God is good every day. http://singedwingangelspad.com/forgiving-myself-forgiving-my-abusers-childhood-sexual-abuse-awareness-month/ I haven't done one in a while. New platform, new followers. Sometimes I think no one wants to hear about it anymore. But I can't get there because someone somewhere needs to know there is survival and hope period..
That is a great post, Angel. I have those same feelings sometimes, like everyone looks at my blog and says,"oh look, here comes another depressing post about child abuse" but I also have the emails from people who say that it touched their lives and made a difference. So I keep writing. And you keep writing. And as we continue to speak out, we do change things - one word, one story, at a time. Thank you for being a part of that. It is huge. Hope is real. Healing is possible. Thank you, Beth. <3 Love you! Those statistics are truly scary.. but eye-opening. Thank you so much for your voice; it's people like you who make a difference and open the platform for people to "speak out." Stopping by from SITS :) Have a great weekend!